Now over to you, which of these productivity tips are you going to start implementing today? Written by:- Ogugua Belonwu is the founder of MyJobMag, a job listing platform for Africa. 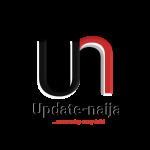 You can find the latest jobs in Nigeria here. The post 9 Ways to Be More Productive At Office/Work Backed By Science appeared first on Naijaloaded | Nigeria's Most Visited Music & Entertainment Website.